Product #1980 | SKU SDSDB-008G-B35 | 0.0 (no ratings yet) Thanks for your rating! 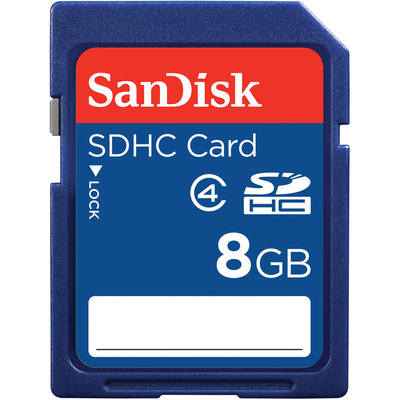 SDHC Compatibility Information: Because SDHC cards work differently than Standard SD cards, this card format is not backwards compatible with legacy SD format host devices. Please check your device (camera, PDA, MP3 player, etc.) for compatibility with SDHC cards.